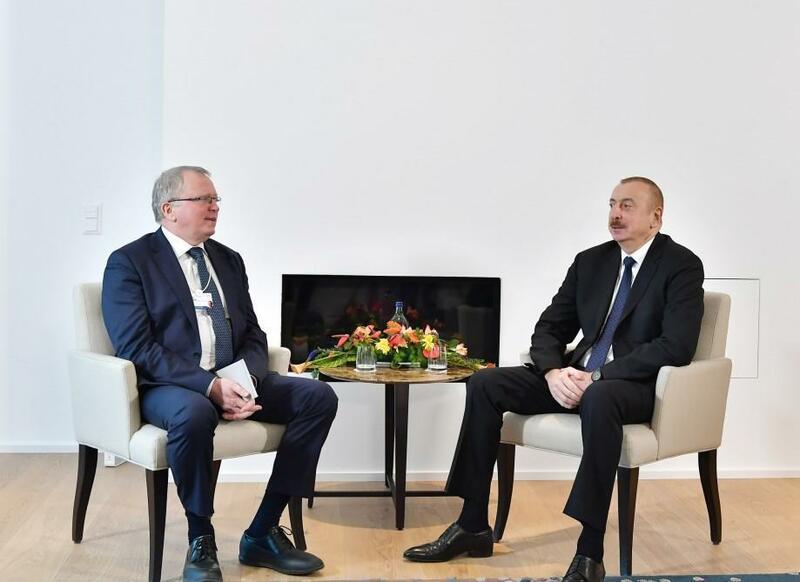 President of the Republic of Azerbaijan Ilham Aliyev has met with Chief Executive Officer of Equinor (former Statoil) Eldar Saetre in Davos. The issues of cooperation between SOCAR and Equinor on Azeri-Chirag-Gunashli oil fields were discussed at the meeting. The head of state commended Equinor for continuing its activities in Azerbaijan. The sides also exchanged views over the promising Garabagh, Ashrafi, Dan ulduzu projects, as well as repair work on Dede Gorgud drilling rig.